MUMBAI: Two days ago, Chris Gayle joked that he wouldn’t mind another fifty to Virat Kohli so long as it came in a losing cause. Twenty overs into the semi-final between India and West Indies on Thursday, it appeared that India had done plenty right on the back of – who else? 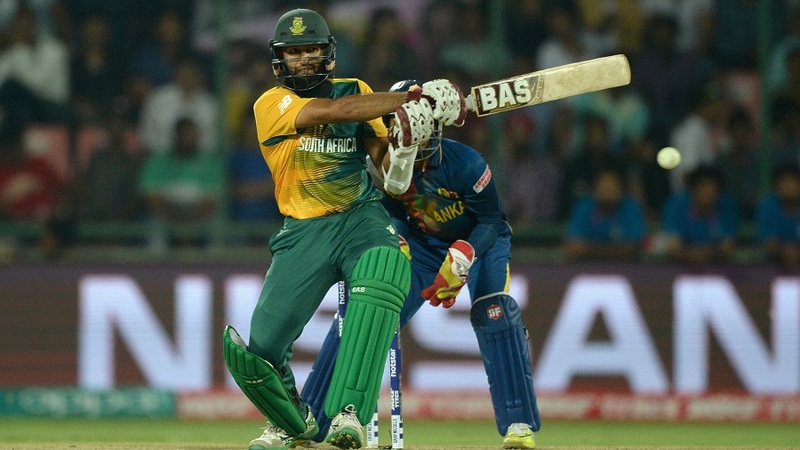 – but the red-hot Kohli, whose unbeaten 89 from 47 balls helped them to 192/2. 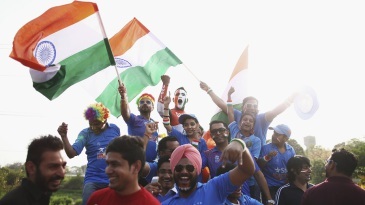 At the end of a high-octane match, it was Gayle who was part of a raucous West Indian celebrations near the boundary line after the underdogs stunned India with a seven-wicket win with two balls remaining. Taking them over the line was Lendl Simmons, whose first appearance of the tournament produced a match-winning 82 not out off 51 balls. Who writes this man’s scripts? 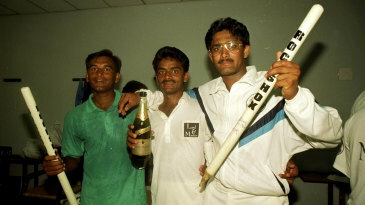 Both batsmen attacked India’s spinners, driving and cutting with panache. Hardik Pandya’s decision to bounce Charles proving costly, with the batsman top-edging six to third man and hammering four to fine leg with stunning fluency. With Simmons tucking into the wayward Ravindra Jadeja, the stand surged to 97 in ten overs when Dhoni tossed the ball to Kohli. Immediately the man of the moment had a wicket, as Charles miscued to long-off. Enter Russell, who smoked Pandya past mid-off and deposited a six into the stands. 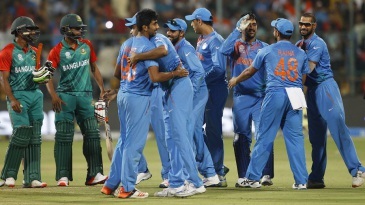 Bumrah had two overs left when Dhoni beckoned him to bowl the 16th.  Barring the third and sixth deliveries, which went to third man for four and into the sight screen for six off Simmon’s bat, the youngster conceded three singles. Nehra kept his wits to bowl a good 17th over that cost ten, meaning he bowled out with a very respectable 1/25 in four. 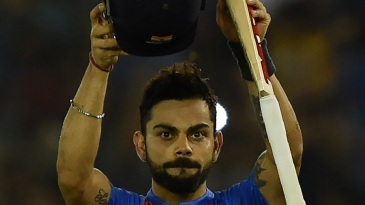 This was somewhat difficult to comprehend after Kohli’s innings had powered India to 192/2. Flipped into the role of laying a platform rather than chasing a target, Kohli finished what Rohit Sharma and Ajinkya Rahane started – both made pretty forties – with his seventh T20I fifty of the year. Rohit and Rahane, playing in place of Shikhar Dhawan, gave India a platform from where Kohli could launch: a stand of 62 in 7.2 overs, India’s highest T20I opening stand in 11 games. His aggressive approach was what India needed, because though his urgency between the wickets – the pair collected nine doubles – was superb, Rahane could not find the boundaries. With five-and-a-half overs to go, Dhoni sauntered in and paddled his second ball for four, but it was Kohli who had the fans swooning when he collected ten runs in three balls: a wristy pull followed by a sprinted two and which edge to third man. 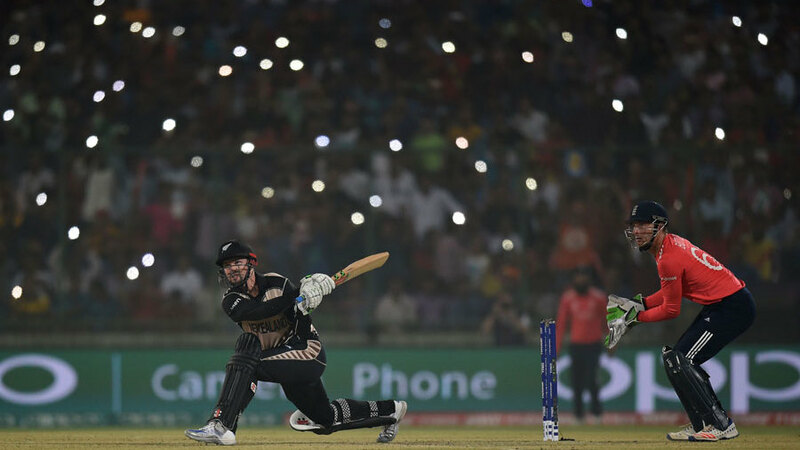 Two more fours of a hapless Bravo in the 18th over – a flat-batted pull and a gorgeous drive wide of mid-off – had the stadium chanting and then Russell conceded 19 from the 19th, with Kohli hitting a six and two fours. Bravo closed out the innings with a decent last over, but more excellence between the wickets got India to a big total. As it turned out, it wasn’t big enough. Group A – Bangladesh, Ireland, Netherlands, Oman. 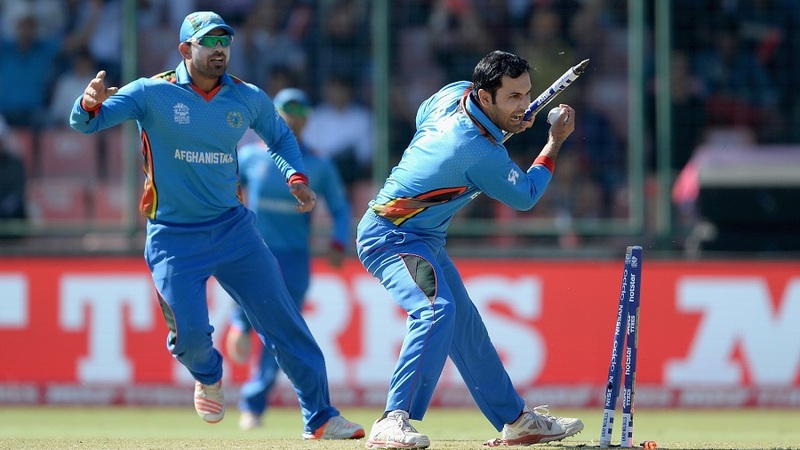 Group B – Afghanistan, Hong Kong, Scotland, Zimbabwe. 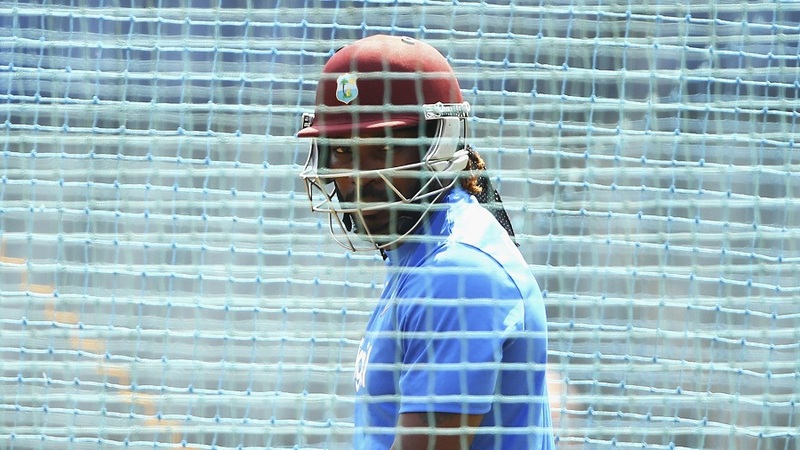 Which domestic players can step up for West Indies? Colin Benjamin: They don’t have a large talent pool to pick from. Is the board’s optimism for a better future misguided? What were Pakistan playing in this tournament? 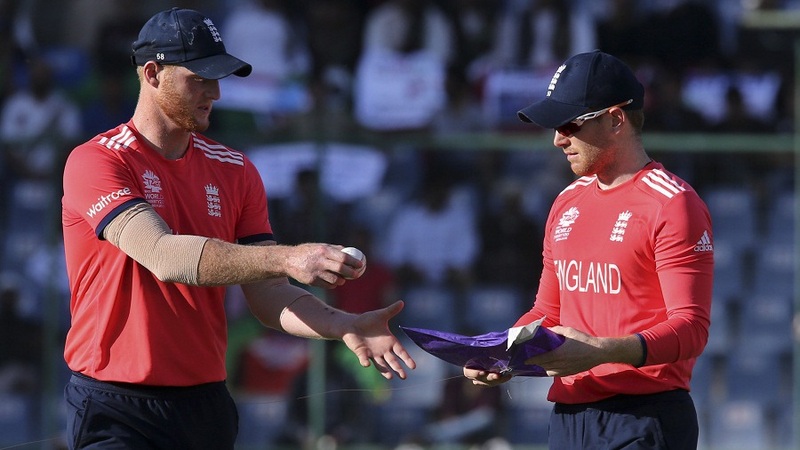 Ehantharajah: Kasperek, Edwards star – but where are the cameras? 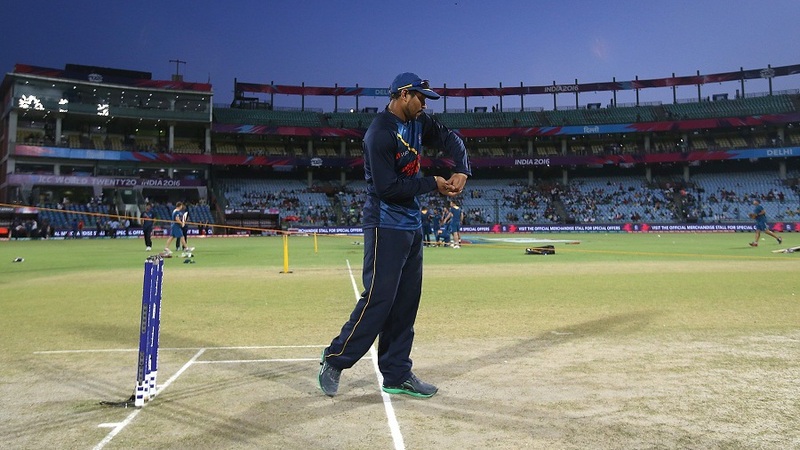 Sri Lanka future in safe hands? Naqvi: Have Pakistan given up? 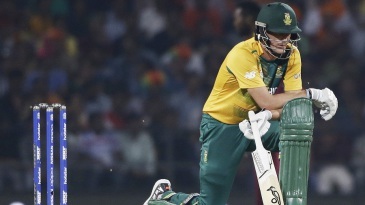 South Africa were asked to set England a target in their first appearance at this World T20 and they would do so with all three of the men who have opened the batting in the tournament build-up. 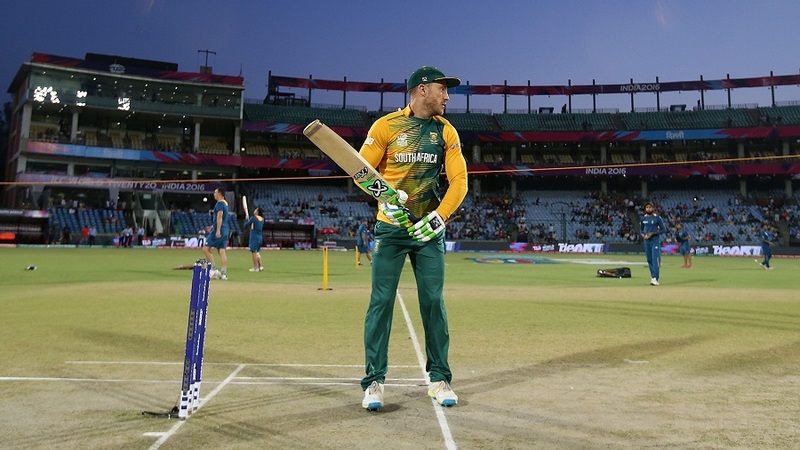 After a robust debate over whether Hashim Amla or Quinton de Kock would open with AB de Villiers, South Africa decided to play both and move de Villiers down the order, even though Faf du Plessis had earlier emphasised his preference for having de Villiers open. That meant no room for either Rilee Rossouw or Farhaan Behardien in the line-up with South Africa’s tail starting at No.8. South Africa also dispensed with one of their two allrounders with David Wiese missing out to allow for the inclusion of the trio of Dale Steyn, Kyle Abbott and Kagiso Rabada. With dew likely to become a factor as the evening goes on and uncertainty over what a good total is, Morgan wanted his team to chase. 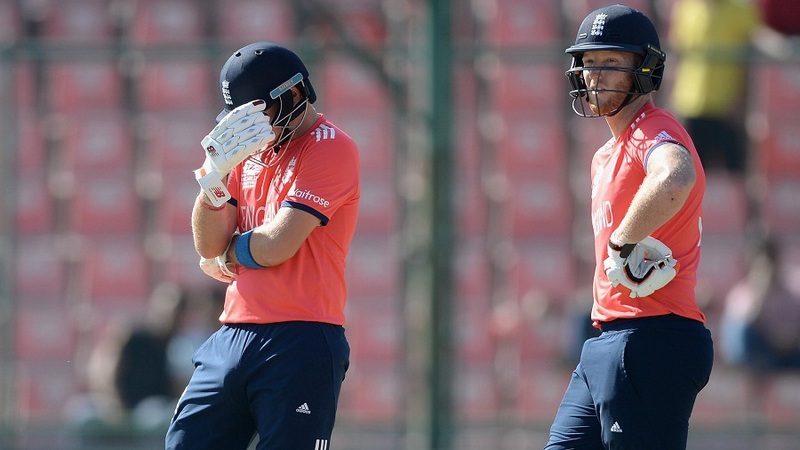 Despite losing to West Indies two days ago, England decided to stick with the same XI. The pressure will be on those men, who will know that a second defeat will mean they have to rely on other results to go through to the knockouts. Does sledging drive people away from the recreational game? Chris Gayle, at 36, knows that he could be playing his last World Twenty20 and, judging by the manner in which he pulverised England at the Wankhede, he intends to go out in style. England’s bowlers began the night fretting about the dew, and ended it drenched to the skin by the sight of Gayle raining sixes into the sky. Nobody has hit as many sixes in a World T20 innings as the 11 that Gayle despatched in Mumbai, breaking his own record of 10 against South Africa in Johannesburg in 2007 – his only previous T20I hundred. Seven flew down the ground, the other four further along the leg-side arc and apart from a leap from Joe Root in a failed attempt to intercept the one that brought up his 50, all England’s fielders could do was watch. 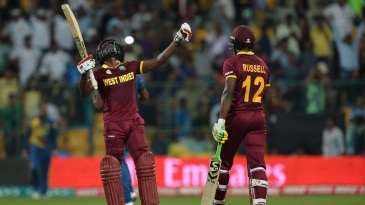 Gayle’s sauntering savagery presented West Indies with a six-wicket win with 11 balls to spare. He started his celebration a few runs early, bringing out an air-punching routine on reaching his hundred to send the crowd into raptures. 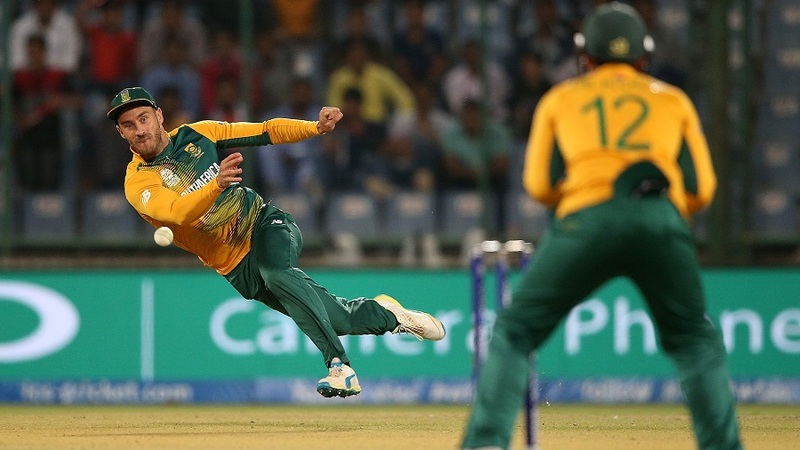 From 47 balls, it was the fastest ever at a World T20 and third-fastest overall. Brendon McCullum, freshly retired, began the night as the leading six-hitter in T20Is. By the end of it, Gayle had passed him by a considerable distance. 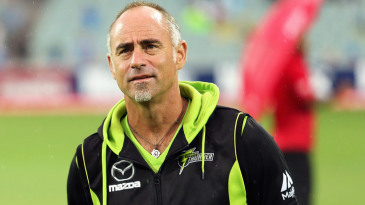 His involvement in Australia’s Big Bash had been tarnished by criticism for his manner in an on-field interview: perhaps he had retribution in mind. 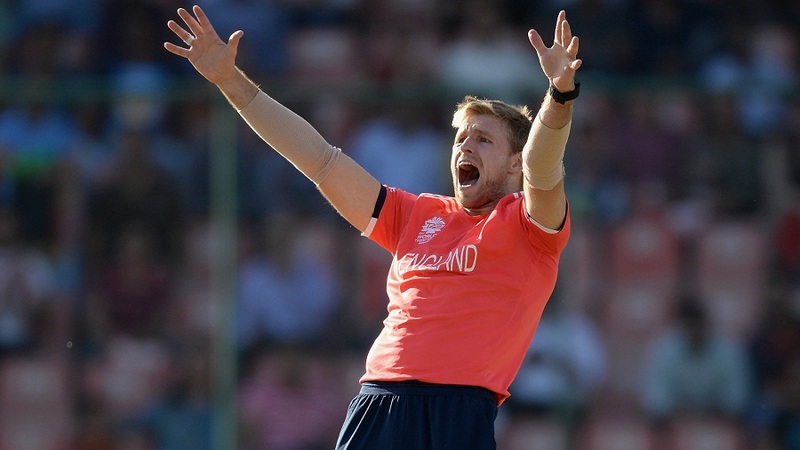 England, having set a par score of 182 for the Wankhede, will conclude it was just one of those nights, but their bowling line-up had looked flaky in the final stages of a bilateral series in South Africa and they had little answer to Gayle. Moeen Ali was in the eye of the storm, conceding 33 from 14 balls, including three sixes in a row, all of them in his favourite area down the ground, two of them on the full. India, the tournament favourites, had already been toppled on a dry pitch in Nagpur by an unsung trio of New Zealand spinners. No country has won the World T20 more than once, but it will be West Indies who will have the sharpest sense after this victory that they have the wherewithal to take the trophy a second time. The night was wet enough for the authorities to decide that play should be held up midway through West Indies’ innings to allow machinery to dry the outfield and ensure an even contest, an uncommon intervention. At 85 for 2, West Indies were well in control and, having won the toss, would have been happy with as much dew on the outfield as they could get, but Gayle made such a debate an irrelevance. It was a wrecking-ball innings, an assault of brutal simplicity. 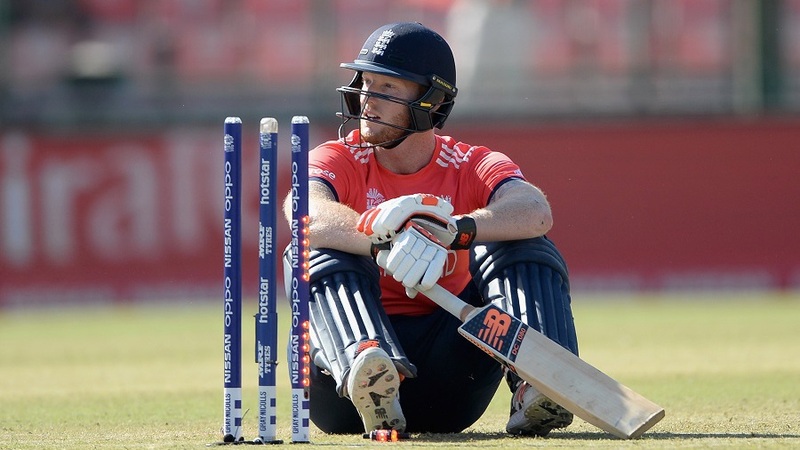 The first warning for England of trouble ahead came when Ben Stokes struggled to cope with the dew in his first over. 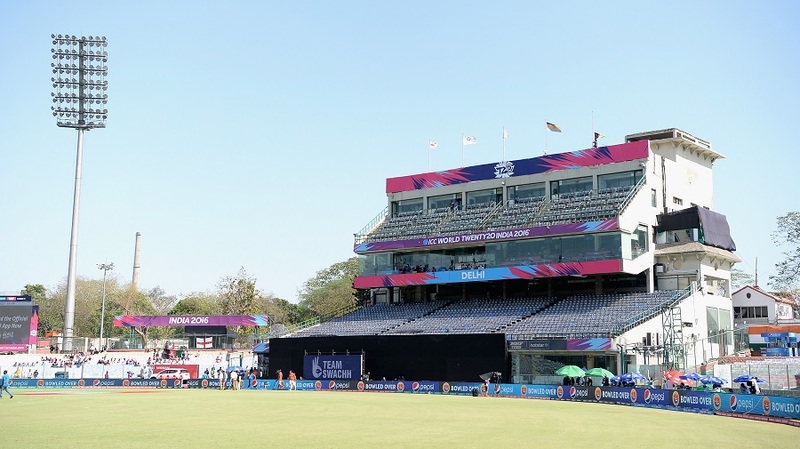 England had more towels available than the average swimming pool, but Stokes conceded three fours and a free hit to Marlon Samuels in an over characterised by a full toss and a misfield. What dampness the dew wasn’t causing, the nerves were. Gayle watched all this contentedly from the non-striker’s end, his eye already in after despatching two half-volleys for 10 in Reece Topley’s opening over. He faced only six balls in the first 32, but as destructive batsmen go, he likes to take a long, lingering look, and from what he could tell things were going extremely well. 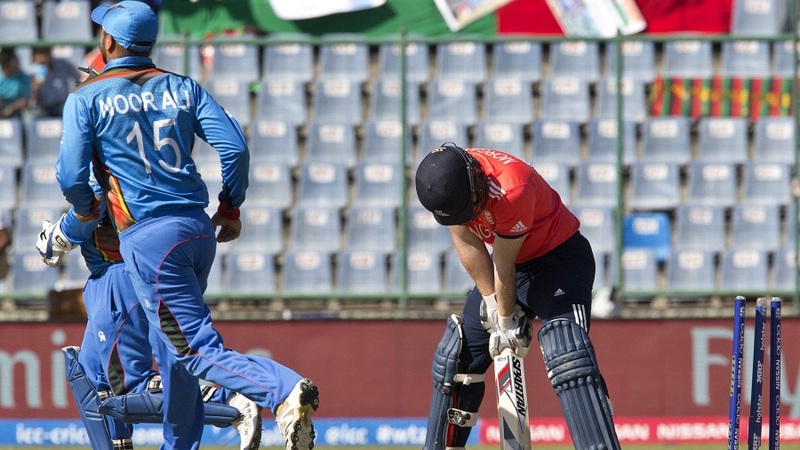 Samuels holed out against Adil Rashid at long-on, his 37 from 27 having given West Indies the edge. It was time for Gayle to stir in the form of two successive sixes off Rashid, the first of them an 89 metre blow down the ground and into the top tier. Others were less successful. Denesh Ramdin scratched and scraped to no effect and, although Reece Topley’s back-of-the-hand slower ball against Dwayne Bravo arrived as a thigh-high full toss, he planted it into the hands of deep midwicket. It was fortunate that full tosses were bringing wickets because England were bowling more of them than they would have liked. 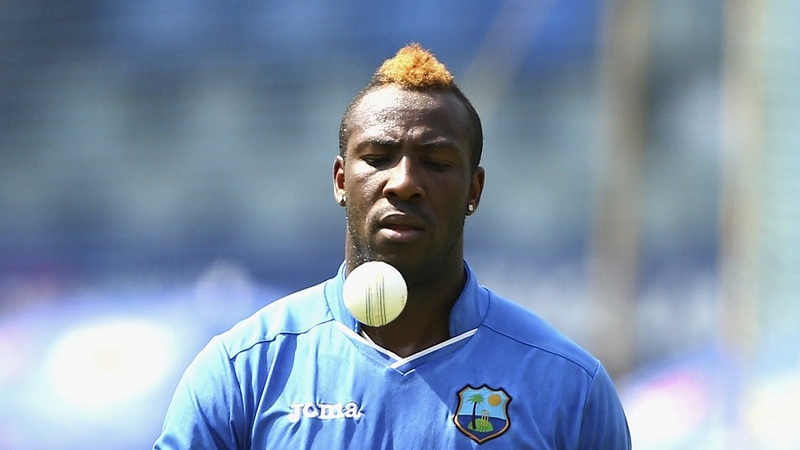 Andre Russell stayed with Gayle as he claimed the contest in emphatic style. 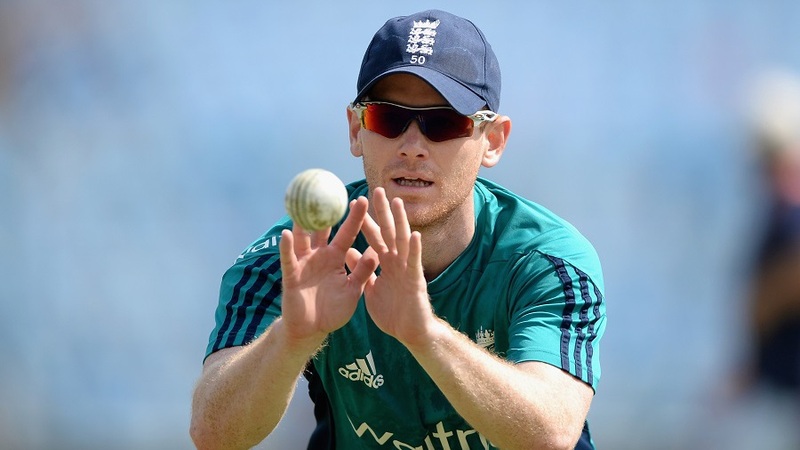 Rashid, regarded pre-tournament as a key England bowler, delivered only two overs – the dew doubtless a factor for Eoin Morgan, England’s captain. The Wankhede was expected to hearten the quicks and the pitch was green, but it proved deceptive as there was no seam movement of note, a fact illustrated by Bravo, one of many seasoned West Indies campaigners, who set the tone with an opening over comprising six slower balls. The most important slower ball belonged to Russell, who caused Root to hack to mid-off, ending a verve-filled 48 from 36 balls. The most striking was Bravo’s who left Stokes floundering blindly, lbw in the final over. 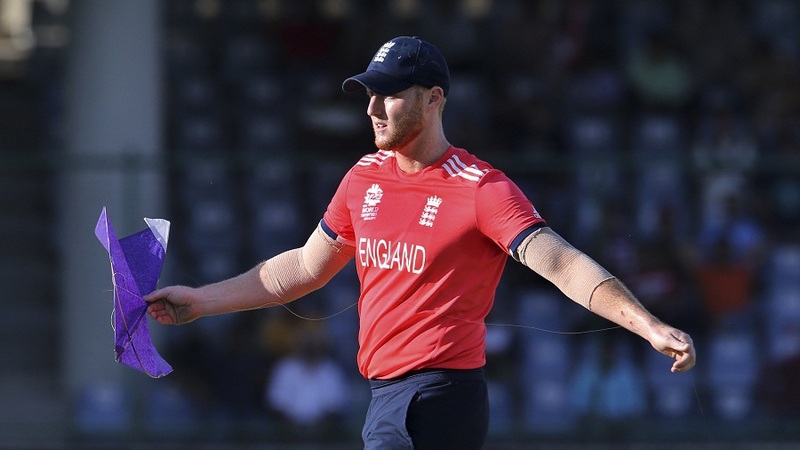 The last time Stokes played West Indies in T20, he famously punched a dressing room locker in frustration, broke his wrist and missed 2014 World T20 as a result and the dismissal must have been irksome enough for England’s coaching staff to consider turning the changing room into a padded cell before his return. 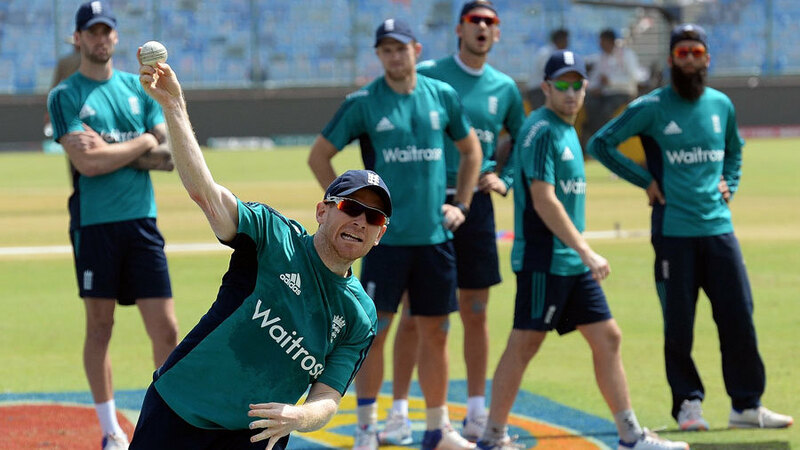 England’s side could show only 23 international appearances in India, with seven playing their first international in the country. The experience rested with West Indies, a team of old stagers, battle hardened in T20 leagues around the globe, and recognising this might be their last chance to follow up the World T20 prize they won in Sri Lanka four years ago. England might have played carefree T20 cricket since their debacle at the 2015 World Cup forced a change of mentality, but the daring nature of their batting has not quite disguised the vulnerability of their pace attack. 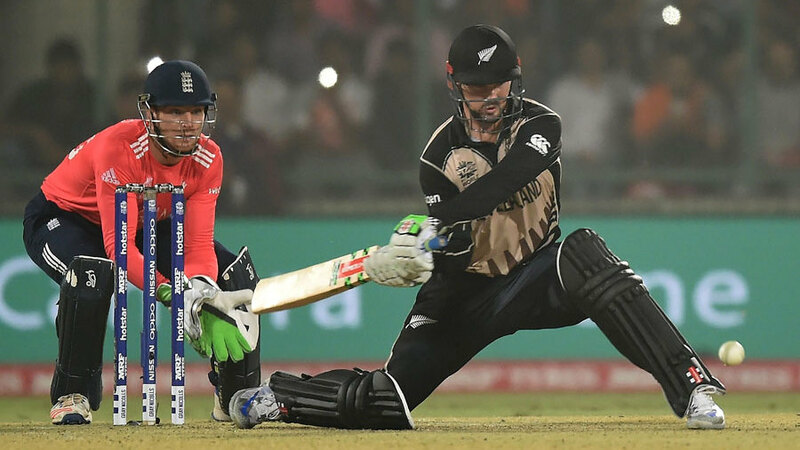 Nerveless cricket is tougher, too, at a high-profile tournament and only five runs came from the first two overs in which both Jason Roy and Alex Hales might have been run out. England escaped. Hales took three successive boundaries off Samuel Badree, back in a West Indies side for the first time since 2014, an absence caused by injury, dengue fever and a lack of fixtures, the assault damaging the career figures that make him the most economical regular bowler in T20Is. 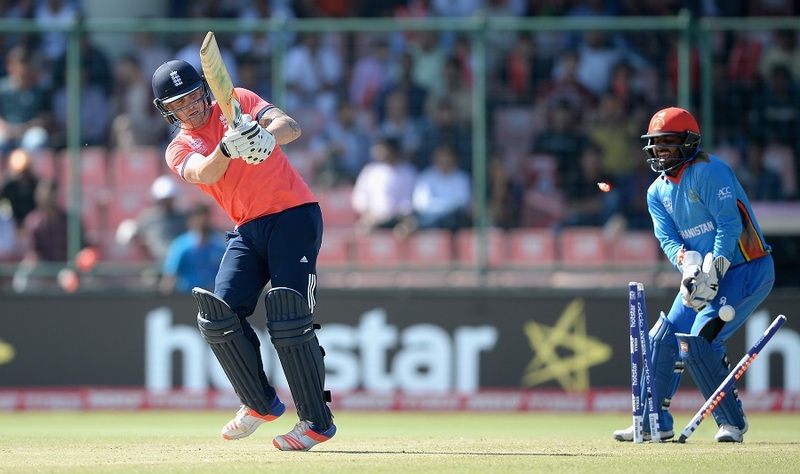 England had only lost Roy by midway, whipping Russell to midwicket. Hales was cleverly yorked by Sulieman Benn and two outstanding boundary saves by Russell suggested that this West Indies side might be older than they feel, even if the golden Mohican was in evidence to less impressive effect when Root drilled a full toss from Bravo down the ground and received a bonus boundary that he could not have envisaged. 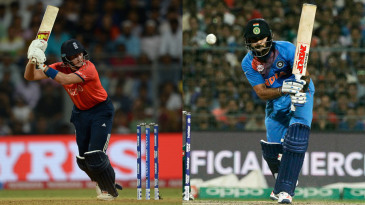 England’s best batting moments came from Root, seeking to add lusty blows to his deftness of touch, and a melancholy-eyed 30 from Jos Buttler, who will soon be seen at the Wankhede for Mumbai Indians in IPL. 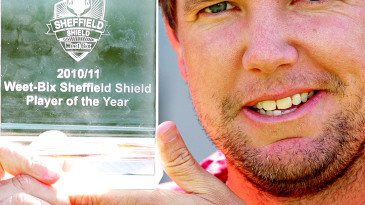 Three sixes will have whetted the appetite, but long before the end England had stood back to allow the giant of T20 cricket to soak up the cheers. Pakistan thrashed Bangladesh by 55-run as it successfully defended the imposing target of 202 during their opening World T20 game against Bangladesh in Kolkata on Wednesday. Shahid Afridi’s 27-2 and Muhammad Amir’s 28-2 in four overs each help Pakistan thrash Bangladesh by 55 runs. Earlier batting first after winning the toss, Pakistan skipper Shahid Afridi’s blistering 19-ball 49 fired Pakistan to 201/5 against a hapless Bangladesh attack. Afridi, whose batting form had fallen away in recent months, rose to the occasion after promoting himself to number four in the order. The skipper smacked four boundaries and four sixes to help Pakistan register their second highest score in T20 internationals. Their highest total is 203 against the same opposition in 2009. As hosts and the current world number one side in the T20 format, the 127-run total appeared achievable for India – but they found themselves in trouble early when they lost four wickets within the first five overs. When Virat Kohli and MS Dhoni were dismissed for 23 and 30 respectively, the side’s chances of victory fell dramatically. The match was all over by the 19th over when Adam Milne removed Ashish Nehra for a duck. The spin-friendly pitch lived up to its expectations, with nine of the 10 wickets that New Zealand took coming from their spinners. Mitchell Santner claimed four wickets in his spell for just 11 runs while Ish Sodhi picked up three and Nathan McCullum two. Santner also picked up the man of the match for his batting and bowling display. 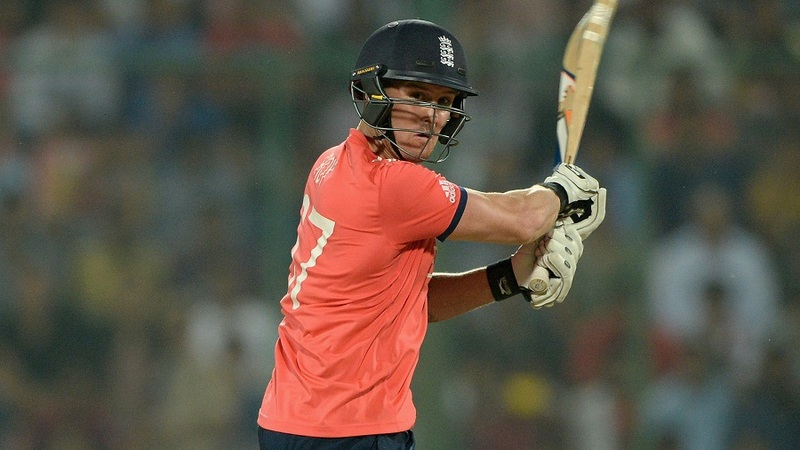 Comments for World T20 Highlights – World T20 semi-final: Simmons 82* puts West Indies in final are now closed.